Prime Rib Roast. The above Prime Rib Roast is a bit overdone in my opinion but never the less it was still juicy and tender. Next time cook it shorter. 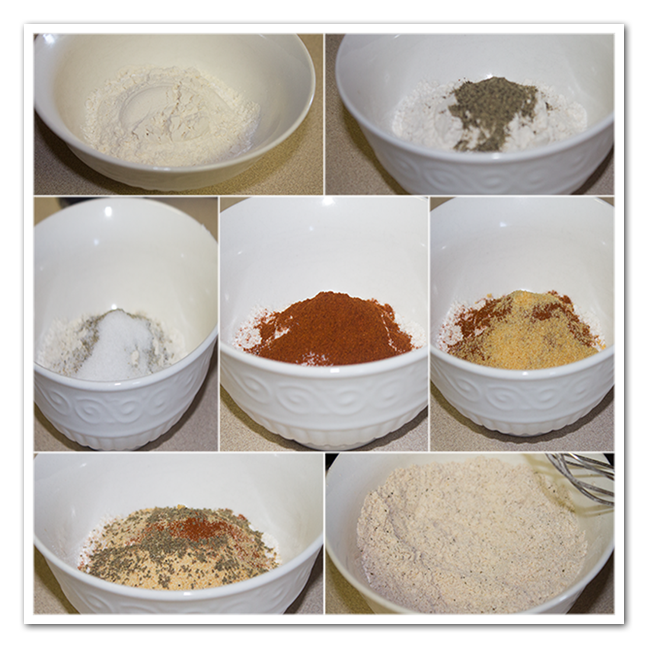 Put the flour, pepper, salt, paprika, onion powder, garlic powder, and celery seed into a small bowl. Line a roasting pan with aluminum foil. Unwrap the roast and place onto roasting pan; blot with paper towels. Coat the roast all over with the flour mixture. This roast was 3lbs and we cooked this one for 90 min, 30 min per lb. I personally like mine a bit more “raw” on the inside and will cook it for 20 min per lb the next time. So for a well done 3 lb rib roast 90 min on 425F, medium rare 60 min on 425F. When the roast has finished cooking, take it out of the oven, and cover with aluminum foil. Allow to rest in a warm spot for 30 minutes to 1 hour before slicing. Prime Rib Roast. This one was a bit overcooked in my view but it was still tender and juicy. Next time cook it shorter. Coat the roast all over with the flour mixture. 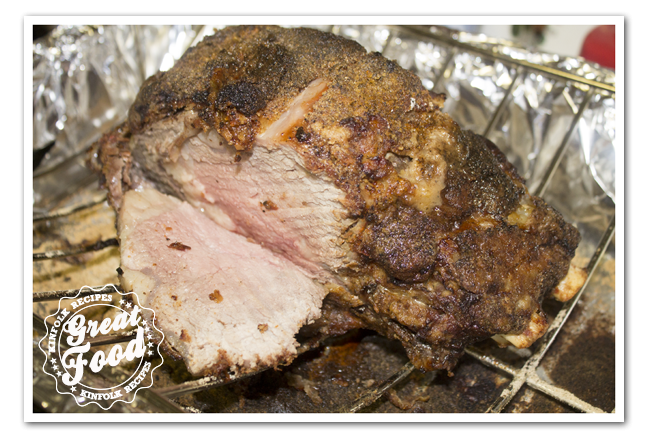 This roast was 3lbs and we cooked this one for 90 min, 30 min per lb. I personally like mine a bit more "raw" on the inside and will cook it for 20 min per lb the next time. So for a well done 3 lb rib roast 90 min on 425F, medium rare 60 min on 425F. When the roast has finished cooking, take it out of the oven, and cover with aluminum foil. 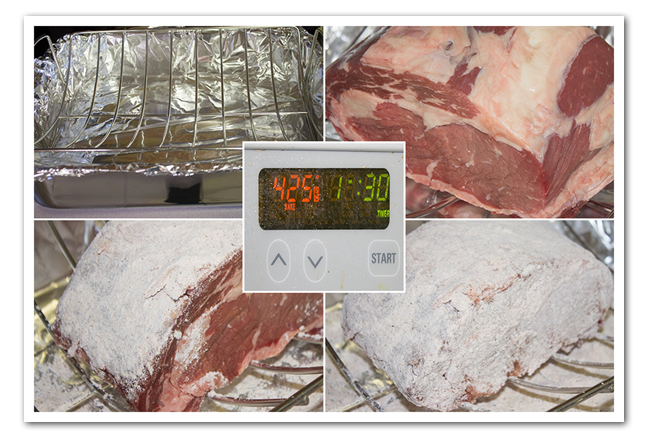 Allow to rest in a warm spot for 30 minutes to 1 hour before slicing.